When you are in the midst of a relationship breakdown the largest shared asset that you have is likely to be your home. However, this is probably not the only shared property that you and your spouse will have, and that’s before you consider the car, the items of furniture, the electrical equipment, the clothing, ornaments and items of sentimental value, amongst others. No two divorces are the same, so who gets the family home will depend on your individual circumstances. Generally, thought, the way in which the matter of the family home is dealt with depends on your relationship with your partner. If you trust one another, you can get together to discuss what to do openly and honestly. It may be that you can afford for one of you to stay in the house whilst the other finds alternative accommodation, or that you agree to sell the house and split the proceeds in order to go your separate ways. In the event that the property you own is in your spouse or partner’s name only, you should register a ‘caution’ against the property, either under section 4 of the Matrimonial Homes Act, or a ‘Class F Land Charge’ with the land registry. Your estranged spouse will not be able to sell the property, or raise finance against it, without your consent. If they do, this is fraud. 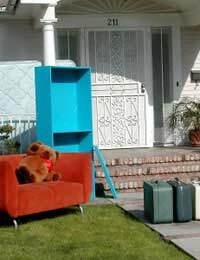 In the event that you are leaving the family home, you should take with you any items of particular importance to you. You don’t yet know how relations between you and your spouse will be in a few weeks or months time, so this may be the only chance you get to claim these possessions. Recent case law suggests that couples are more likely to get half of the proceeds of the divorce than before. Previously, marital assets were divided on the basis of what each party had contributed to the marriage. (For ‘non-marital assets and their definition, see the relevant article elsewhere on this site.) In general, the person who has care of the children will get a bigger slice of the shared assets. make sure you have as much information on your joint assets as you can. This means accumulating copies of receipts, agreements, and other proof of ownership documents. You would be surprised how ‘forgetful’ former spouses become when faced with splitting ownership of assets. make a list of everything you and your spouse own, and leave space for two further columns. In the next column, give an estimation of value. In the last column, put whether it is yours, your spouse’s, or shared. Have a list of all your income and outgoings, to demonstrate any shortfall. The lower your income is, and the higher your outgoings, the greater your share of the proportion of assets. if one person is going to remain in the home, you need to ensure that you have an up to date valuation of the property. It is highly advisable to get three separate valuations from estate agents and use the average from those amounts. It may help to write a chronology of your marriage and a timeline to show what you were doing at each stage, particularly if you haven’t worked during the marriage or sacrificed your career to bring up children. Recording events such as part time work, having children, and moving home all show your non-financial contributions to the marriage. Who Stays and Who Goes from the Matrimonial Home? What to Do with the Family Home? Husband had an affairand left our marital home . We have since sold the property and split the money . I now live our daughter ,and he as just bought another house with his partner . We are not divorced or legally separated.. When it comes to divorce proceedings can I claim any of his new property as he as used his half on his new home . I am trying to divorce my husband, i want to buy a property with my new partner. Would my ex be able to claim a percentage of my new home as we are not divorced yet? After 18 years of marriage I moved out of the family home leaving my wife and 10 year old daughter. 2 and half years on I am still paying the interest only mortgage but getting ready to move in with my new partner. Not yet divorced but want to come off the mortgage. told I have a responsibility to put a roof over my daughters head but surely we both do? I don't want any money from the house and just want to be off the payment side. can I do this? You can only release yourself from the mortgage if your ex can afford to buy you out. Your commitment here is to the lender. The house was in my name he once had a sml declaration of trust but he took it off.we have split up he wants 7000 pounds in settlement. How is good to do this.please.And does he have to sign as well to make it legal as solicitor daid he cant be there as well. You would need to seek professional legal advice. If you were still married, then you would have been able to claim some of the equity, as regardless of whose name the house was in, it would still be considered as being jointly owned and part of the financial marriage pot. My husband and I separated in March 2015, I remained in the family home with the children while he left and rented a property and we split the childcare between us (the children stopped with him for 3 nights a week on average). During spring 2016 I decided that as I could not afford to buy him out of the family home and we had approx £200k equity in it that I would look at the possibility of buying somewhere else on my own, if he was to buy me out with a 50/50 split of equity. I have since bought a property in my name with a help to buy loan and £100k equity buy out from my husband. He has now moved back into the former family home and re-mortgaged the house solely in his name, he currently earns approx 4 x what I do so could afford to do this). All this was done without sny legal advice and now as we are fast approaching the 2 year separation period and are able to file for divorce I wanted advice on whether I can claim anything in regards to his quite considerable pension? I gave up my 'career' in order to look after our 2 children, while he remained at work and climbed the career ladder. I have returned to employment since our separation but only work 3 days a week due to the high cost of childcare etc. I have a small pension, but nothing I could rely upon on retirement due to my current earning potential and being a 'full time mum' for the last 5 years. Obviously as we are still married I would imagine both our property's would now be considered as marital assets? My husband and I want a simple clean amicable divorce. He is happy for me to have the house and contents and I am happy to make no claim on his pension. We don't want to spend lots of money on solicitors and want to ensure we both have a clean break. What is the best way to do this ? I am able to remortgage my house because of my high earnings. Any help would be much appreciated. Mediation may be the best way forward here as while it will be negotiated between yourselves it will ensure you tick all the boxes required. Plus it will be authorised by the courts and give you the clean break you need. While it will cost (not as much as court), it might be worth you paying for this to ensure peace of mind. Been split up from wife for 3 years. 1child nearly 19. Been offered £5000 amicable settlement as neither can afford to buy the other out. Not divorced. We owe about £115, 000 on house. Worth around £250, 000.Can't afford a solicitor but unsure what to do. Any advice would be great. Thanks. It doesn't seem a very even split. If your child is 19, you may be able to force the sale of the property. This is done by applying for a court order that would in effect allow for the property to be sold, and would provide a timescale within which it should be sold. I suggest seeking legal advice in order to assess your options. Been split up from wife for 3 years. 1child nearly 19. Been offered £5000 amicable settlement as neither can afford to buy the other out. Not divorced. We owe about £115, 000 on house. Worth around £250, 000. Can't afford a solicitor but unsure what to do. Any advice would be great. Thanks. My wife and I separated 10 years ago.My partner and I have been together for 5 years and want to get married, so I'm wanting to get a divorce. I bought my wife out of the house 8 years ago. Is she still entitled to anything on the sale of the house if she is no longer on the mortgage? I have just bought a bungalow cash with my husband and tried to get on with him but it's not working I'm leaving the home we are joint owners and I want to know do I have to divorce him to get half the property. @Kalajay -When considering how to divide your civil partnership property the court will consider all the circumstances of your case and the welfare needs of any children of the family who are under 18. The court will then consider: the income, earning capacity, property and other financial resources that each partner has or is likely to have in the future. Plus the financial needs, obligations and responsibilities that each civil partner has or is likely to have in the future. The standard of living enjoyed by your family before the breakdown of your civil partnership. Your ages and the length of your civil partnership (this may include any periods of unbroken cohabitation before you entered into your civil partnership). Any physical or mental disability that you or your civil partner has. The contributions that you and your civil partner has made or is likely to make to the welfare of the family. You really need to take legal advice though. I hope this helps and you manage to sort it out.